Flash Workouts On Your Phone Weekly! but can’t get to Flash Fitness in pe​rson? It is What You Do & HOW You Do It! We understand that WHAT you do and HOW you do it matters. Not all exercise is created equal. With the Flash Fitness Online Program, YOU can DO WHAT WE DO, at your own gym. Bring our workout with you on your phone. Follow the same style programming, designed by Jeff Andora, the Director of Programming at Flash Fitness. Have fat loss expert Jeff Andora, Director of Programming at Flash Fitness and author of The Habits & Hormones Solution design your fat loss program. Every rep, every set, all of your rest times, tempos, personalized nutrition approach, what supplements to take, and more...all done for you! Stop guessing your way through fitness! Train Smarter! Ben has now lost 100 pounds with the Flash Fitness program! 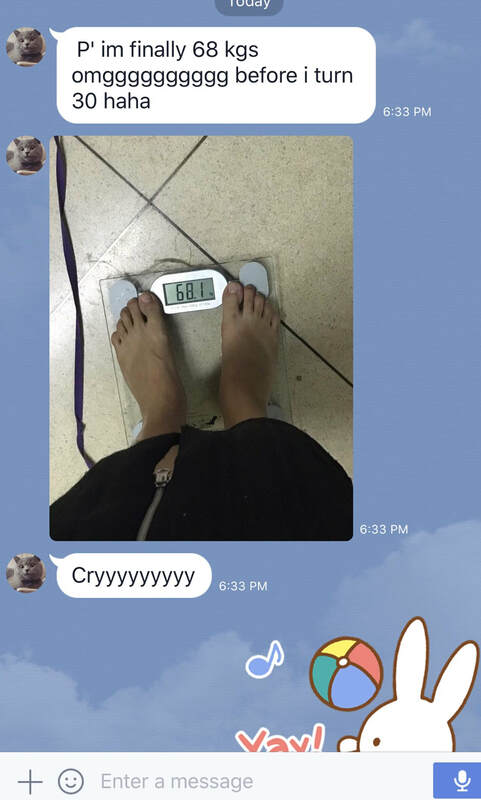 When will you be sending us messages like these people have about your fat loss results? ​The Problem is, not everyone is BURNING FAT! The key to fat loss success is getting your metabolic system to shift from using glucose as a primary fuel and start burning fat as the primary fuel. This program is for anyone who is ready to train smarter and change their body and their health. 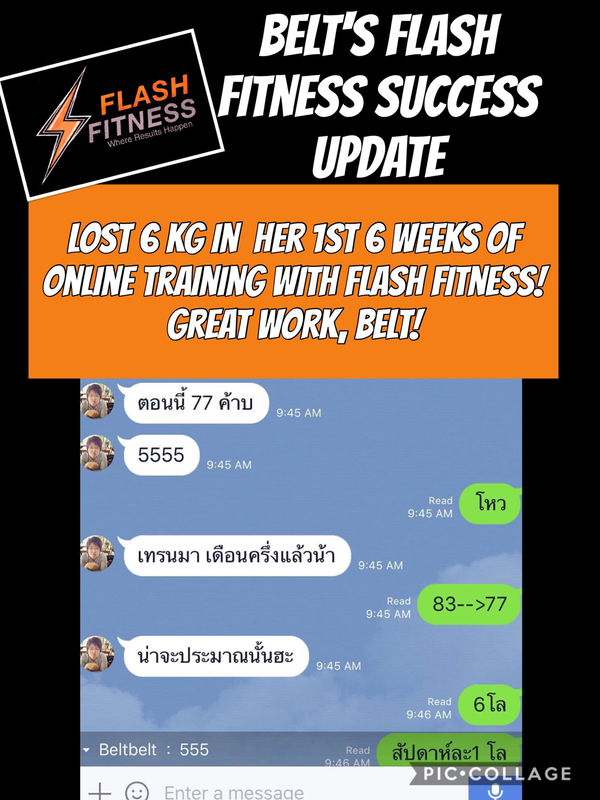 This program is for all of the people who want to train with Flash Fitness, but are unable to get to our gym in Bangkok. Now, you can train with us online! 2. People overseas who had bought and read our book, The Habits and Hormones Solution: Faster Fat Loss & Better Health Through Modern Science and wanted us to help them with their own exercise program. Well, the word has got out that our programs work! 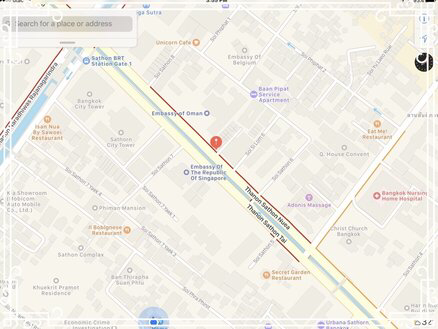 Many people WANT to train with us at Flash but cannot make it out to our semi-private facility in Sathorn to do our program. Furthermore, our private training has been booked for a long time and we are not longer able to train people at their homes and condos. More and more people kept asking us to write their programs for them, helping them to get the same results at their gym as they could get at Flash. This program is not for lazy people, undisciplined people or people with no gym to work with. WE ARE VERY BUSY & CHOOSE ONLY TO WORK WITH THOSE WHO ARE READY and able. We do NOT do random cookie cutter exercise programs and ineffective, non-personalized nutrition plans. Designing exercise and nutrition programs, analyzing nutrition and lifestyle and developing a relationship takes time & effort. ​We take YOUR RESULTS SERIOUSLY! IF YOU ARE TOO LAZY TO FILL OUT ALL OF THE PAPERWORK PROPERLY (YES...6 PAGES!!!) to help us learn everything we need to learn about you to get you results, we will assume you are also too lazy to do the program as we write it for you. YOU WILL NOT BE ACCEPTED INTO OUR PROGRAM. ​PLEASE... DON'T WASTE YOUR MONEY- OR OUR TIME. So, I hope you are motivated and ready to do this without the benefit of us being right by your side at the gym, physically. Therefore, you must be reasonably self-disciplined and motivated. Also, you must have access to a gym. Please don’t ask us for a bodyweight program that you can do in your bedroom. IS YOUR NUTRITION ANALYSIS AND RECOMMENDATIONS INCLUDED IN THE PRICE? YES. PERSONALIZED NUTRITION PROTOCOLS ARE INCLUDED! TO GET STARTED: Complete the forms we send you. It will help us learn everything we need to know so we can properly help you the best we can. This allows us TO ANALYZE YOUR CURRENT HABITS AND MAKE the POSITIVE, HORMONE ALTERING CHANGES THAT ARE RELEVANT TO YOUR CURRENT LIFESTYLE. WE WILL ALSO RECOMMEND WHICH SUPPLEMENTATIONS WILL HELP YOU MOST AND EXPLAIN HOW THEY WILL HELP YOU. WE PRODUCE RESULTS BECAUSE WE HELP YOU TRAIN SMARTER!! WE UNDERSTAND FAT LOSS IS PHYSIOLOGICAL, INVOLVING BIOCHEMISTRY AND ENDOCRINOLOGY. LOSING FAT ISN'T JUST BURNING MORE CALORIES THAN YOU EAT. You do not need to be IN our gym to do the programs that produce a physiological state in the body that gets it to burn more fat. However, you DO need to put in the effort and follow the same principle that the people are doing HERE at Flash. Your program will be designed by Jeff Andora, THE DIRECTOR OF PROGRAM DESIGN AT FLASH FITNESS, who has been writing programs for over 20 years, over 40,000 hours of experience with clients and worked with people from all walks of life. Paid monthly through PayPal, Credit Card or Bank Transfer. **We DON'T BELIEVE IN MEMBER CONTRACTS, YOU CAN CANCEL YOUR MEMBERSHIP AT ANYTIME, no hassles or problems. EVER! That is less than the price of one consultation with one of our coaches! If you have any questions about the program, please feel free to contact us.